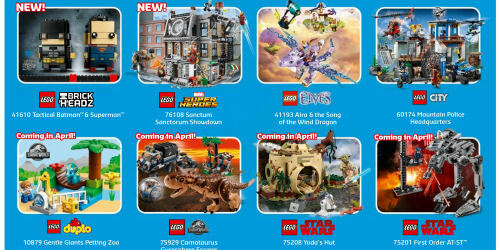 Despite the notable absence of the launch of sets from Solo: A Star Wars Story in the April calendar, LEGO is going all-in (you'll pardon the gambling pun but it seemed appropriate) for May. 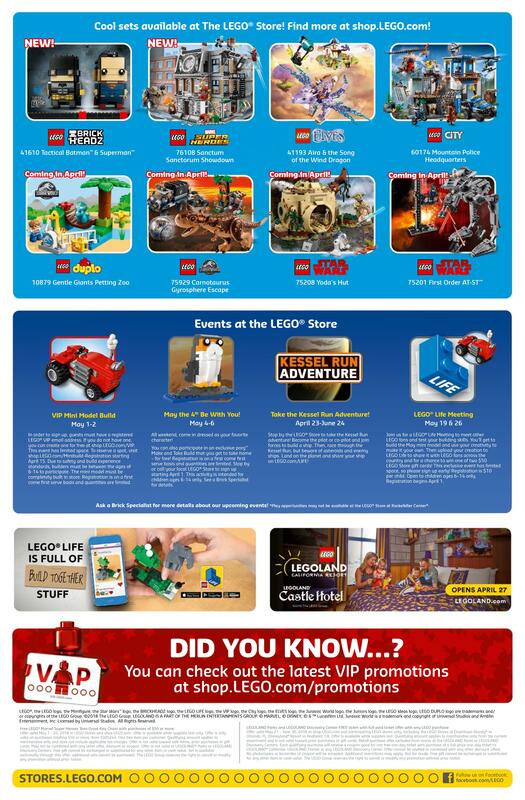 The main event for the May The 4th Be With You celebrations takes place in LEGO Brand Stores and online. Over the 4th to 6th you'll be able to purchase the new 75181 Y-Wing Starfighter for the first tim, enjoy double VIP points on selected sets, find certain sets on sale and pick up 60288 BB-8 with LEGO Star Wars purchases of $75 or more. Check out our earlier post for more details. And don't forget the Kessel Run Adventure, taking place between April 23rd and June 24th. This build event has particpants to build a ship, which they then race through the Kessell Run, before landing on "the planet" where they can share share their ship on LEGO.com/LIFE. 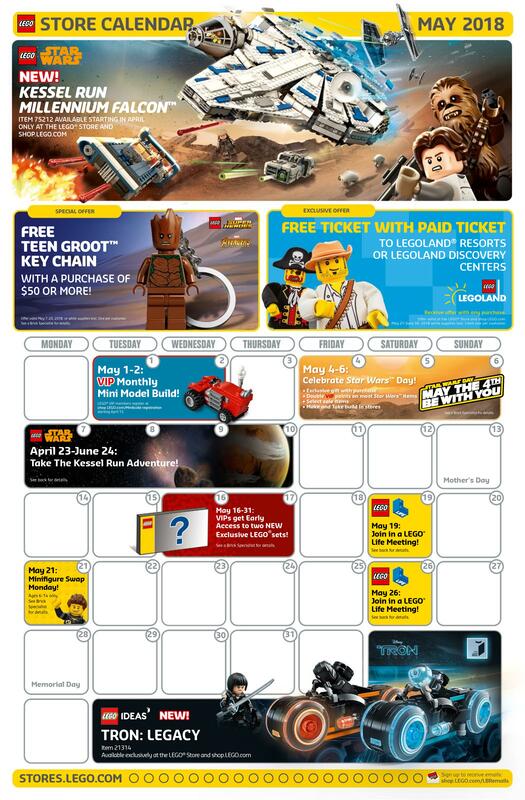 Also worth noting is the blurb on May 16/17th which announces that VIPs will get early access to two new exclusive LEGO sets. Presumably these are direct-to-consumer (D2C) and one is likely to be 42083 Bugatti Chiron. What the other is is a mystery. If you can't make it to a LEGO brand store then you can still do your LEGO Star Wars shopping through the LEGO online store and help support Rebelscum.com at the same time. The back side of the calendar is now circulating on the internet and holds a nice surprise for porg fans! April 9, 2018 LEGO: Star Wars Mini Build? 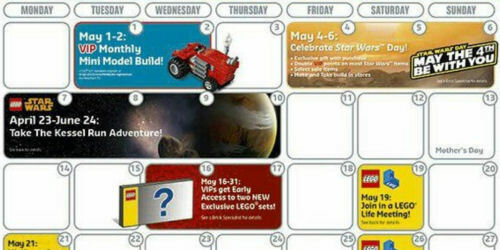 April 3, 2018 LEGO: Is This The May 4th BB-8 Promo?